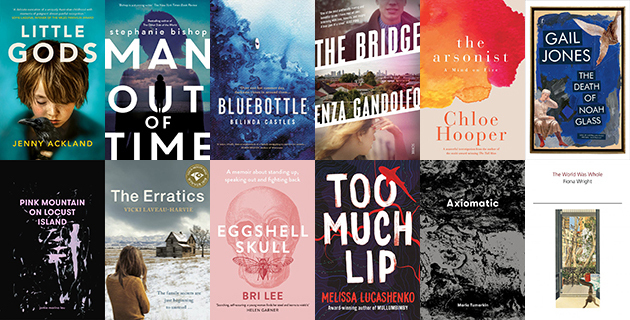 Now in its seventh year, the influential and a much-loved feature of the Australian literary calendar, the Stella Prize has announced the twelve extraordinary books by Australian women on the 2019 longlist. The twelve books cover sexual assault, arson and its consequences, parental neglect, issues of mental health, dysfunctional and complicated family life, chronic illness, and inherited pain. Each is concerned with the most important questions of how to live now, and writers demonstrate first-rate critical thinking capabilities, tremendous imagination, and a readiness to take risks with form. The Stella Prize Longlist includes: Jenny Ackland (Little Gods – Allen & Unwin); Stephanie Bishop (Man Out of Time – Hachette Australia); Belinda Castles (Bluebottle – Allen & Unwin); Enza Gandolfo (The Bridge – Scribe Publications); Chloe Hooper (The Arsonist: A Mind on Fire – Penguin Random House); Gail Jones (The Death of Noah Glass – Text Publishing); Jamie Marina Lau (Pink Mountain on Locust Island – Brow Books); Vicki Laveau-Harvie (The Erratics – Finch Publishing); Bri Lee (Eggshell Skull – Allen & Unwin); Melissa Lucashenko (Too Much Lip – UQP); Maria Tumarkin (Axiomatic – Brow Books); and Fiona Wright (The World Was Whole – Giramondo Publishing). This year’s Stella Prize Judges include: writer, editor and publisher Louise Swinn (chair); Indigenous journalist, radio broadcaster, documentary maker, sound artist and writer, Daniel Browning; former Penguin Random House Young Bookseller of the Year, Amelia Lush; award-winning author, Michelle de Kretser; and award-winning investigative journalist, Kate McClymont. Previous winners of the Stella Prize include: Carrie Tiffany, 2013 (Mateship with Birds); Clare Wright, 2014 (The Forgotten Rebels of Eureka); Emily Bitto, 2015 (The Strays); Charlotte, 2016 (The Natural Way of Things); Heather Rose, 2017 (The Museum of Modern Love); and Alexis Wright, 2018 (Tracker). The 2019 Stella Prize Shortlist will be announced on Friday 8 March. 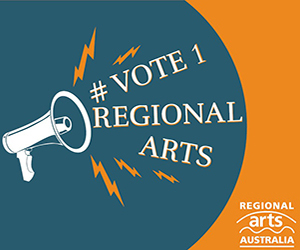 The Winner will be announced in Melbourne on Tuesday 9 April. For more information, visit: www.thestellaprize.com.au for details.